Javier Garcia is 35 years old and has watched his father and grandfather build a roofing business from the ground up, or should we say "From the roof." 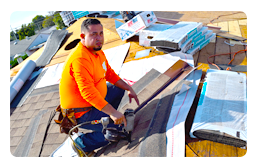 Javier Garcia is a 3rd generation roofer and has served the Buena Park community and other surround counties with the utmost pride, quality and respect. Stay Dry Roofing has continually been one of the best roofing companies in the area due to their expertise and dedication to quality. With three generations of experienced roofers. There isn't much they haven't encountered. 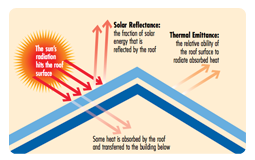 From basic roof patches to commercial building replacement, they can handle it all. Javier prides himself on one key aspect of why his company is so much more successful than his competitors. Javier does not contract his work out to subcontractors. All of his employees are employed by him and follow his guidance and rules. He believes that you get the best work from those who direction report to him. Some people are quick to dismiss three full generations of experience for cheaper costs. The problem with this is you're dealing with contractors who are hiring "workers" and not roofers. 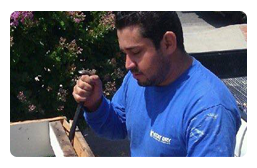 As a 3rd generation roofer, there isn't mush that Javier hasn't experienced in his 19 years of roofing. Javier knows the ins and outs of roofing and will be able to correct any issues quickly and without a lot of "Experimenting". If you want to be the guinea pig, then a cheaper or substandard roofer will be perfect for you. 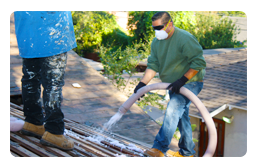 But, for those who prefer the job done right the first time, experience is king and the roofers at Stay Dry Roofing company have years and years of experience behind them. When it comes to your roof, it pays to call the right company the first time. Whether your needs are basic residential roof repairs are large scale commercial building replacements, Stay Dry Roofing should be your first call. They have been servicing the Buena Park, CA area and the surrounding counties for 19 years and running. They will provide you with excellent service from the moment they hit the job site and beyond completion of their work.